Saudi Arabia and the United Arab Emirates’s deepening intervention in Yemen is the triumph of hope over experience. Riyadh’s latest campaign in Yemen began in 2015 to topple the then-triumphant Houthi rebels, whom Saudi leaders considered too close to Iran. Rather than dissuading their good buddies in Riyadh from this dangerous course, the UAE too has plunged into the morass, also hoping to set back Iran. Unlike in Egypt, where the two helped bring about a coup that put President Abdel Fattah el-Sisi in power, the result has been a disaster. This is true not only for Yemen, whose war and humanitarian crisis only seem to worsen by the day, but also for the UAE and Saudi Arabia themselves, with Iran in particular gaining influence at their expense. During these years, Saudi Arabia meddled from time to time, trying to buy local leaders, stop terrorists linked to al-Qaeda in the Arabian Peninsula, weaken Marxist forces in the South, undermine the government in Sanaa when it went against Riyadh’s wishes, and otherwise spread its influence. Yemen’s politics and leaders seemed to get under the skin of the al Saud family. To change the country from the bottom-up, Riyadh encouraged the spread of Salafism in Yemen, funding mosques and preachers and otherwise trying to advance its austere and anti-Shiite interpretation of Islam. However, while Saudi Arabia at times won over a particular leader or killed or stopped a terrorist, most Yemenis remained fiercely nationalistic and suspicious of Riyadh. They were happy to take Saudi money, but they often stopped short of fulfilling Riyadh’s ambitions. The latest round of intervention began in 2015. The Arab Spring spilled over into Yemen in 2011, forcing Saleh to abdicate reluctantly in favor of his deputy, Abdrabbuh Mansour Hadi. Continued violence from al-Qaeda in the Arabian Peninsula, separatist sentiment, Saleh’s attempts to undermine Hadi and restore his and his family’s position, a collapsed economy, and other maladies kept the Hadi government weak despite international goodwill. At first, the Saudi and Emirati campaign seemed to make progress, helping forces loyal to Hadi take Aden and then much of southern Yemen. Riyadh supported an array of tribal and military forces that worked with Islah, Yemen’s most important Sunni Islamist party and an offshoot of the Muslim Brotherhood. The UAE loathes the Brotherhood (and has undermined its power in Libya, Egypt, and elsewhere) and supports southern secessionists and Salafists, who distrust Islah and see the Houthis as apostates. Progress slowed and then largely came to a halt, however, as Saudi and Emirati-backed forces tried to move on areas closer to the Houthi heartland. Saudi hopes of a quick victory, like most of their hopes for Yemen, proved an illusion. More than three years later, Riyadh has flown more than 100,000 sorties and spends billions a month on the war. Airstrikes managed to destroy much of Yemen’s already-tottering infrastructure and kill thousands of civilians, but the Houthis held on. Meanwhile, the factions often turned on each other. Saleh turned his coat and agreed to work with the Saudis in 2017, but the Houthis killed him before this flip could pay off. At least some of the forces once under his command now work with the UAE, but the anti-Houthi forces are divided. In Aden, forces backed by the UAE fought fighters loyal to Hadi, whom Saudi Arabia backed, over bases and facilities. 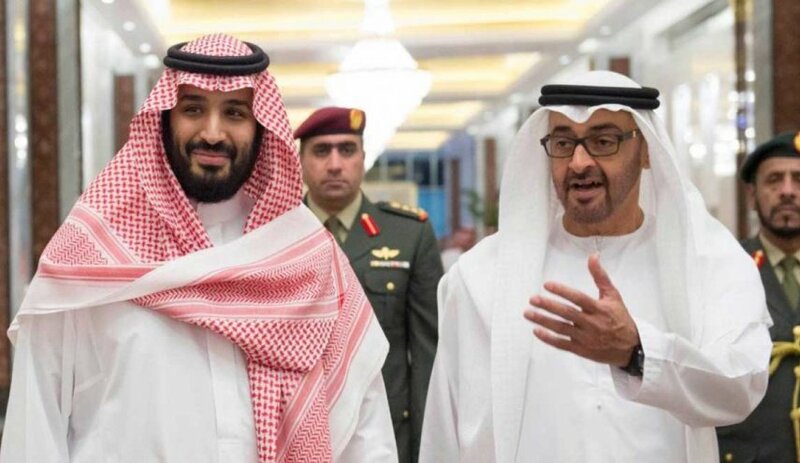 UAE leaders reportedly consider Hadi a serial incompetent, while the Saudis are more willing to work with Islah, which Islah tried to distance itself from the Muslim Brotherhood to please the UAE and Riyadh. For obvious reasons, Riyadh also focuses more on border security than does the UAE. Today, UAE-led forces are trying to make a dramatic push and end the stalemate by capturing the port of Hodeida, the Houthi's most important port through which food and other supplies go into Houthi-dominated areas. (The Saudis claim that Iranian weapons also flow through the port.) The UAE assembled as many as 25,000 fighters backed by air cover and with armored vehicles against a few thousand Houthis, most of whom are recent recruits. The UAE-backed forces include fighters who once fought the UAE’s allies because they were loyal to Saleh—now they follow his nephew, who believes the wind is blowing from Abu Dhabi and Riyadh. In addition, the UAE forces are better trained than in 2015. The urban battlefield, however, heavily favors the defenders, and Iran and Hizballah probably taught the Houthis how to exploit this terrain. Hodeida, moreover, is not the only port available to the Houthis, and smuggling is a proud Yemeni tradition. As such, the Houthis will likely have access to arms in any event. In addition, they have Iranian-supplied ballistic missiles that can harass Saudi Arabia. Even ignoring the disaster in Yemen, the Saudi and Emirati intervention failed on its own terms. They are caught in the Yemeni quagmire. Hadi is not in power, their allies fight one another, Al Qaeda is stronger, and Yemen is less stable than before. Additionally, and most importantly from the Saudi and Emiratis’ perspective, Iran is stronger. Although the Houthis are hardly Iranian puppets, they work with Iran by necessity, and its influence has grown as a result. Now, Tehran has an ally that can threaten Saudi Arabia and shipping in the Red Sea. Al-Qaeda in the Arabian Peninsula (AQAP) capitalized on the chaos. Somewhat belatedly, Saudi and Emirati airstrikes began to strike AQAP bases, and the intervening powers tried to create a coalition of Yemeni military and tribal forces. They succeeded in dislodging the group from Aden and several other important areas, including the port of Mukalla. However, AQAP persisted, working with tribes and capitalizing on locals’ anger at foreigners and central authority. Saudi Arabia, the UAE, and their allies lack the forces to occupy large parts of Yemen to ensure AQAP does not enjoy safe havens or return to cleared areas.